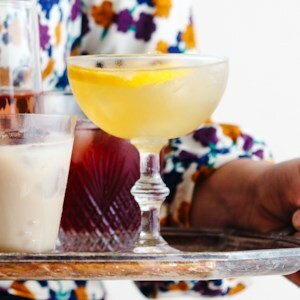 Ring in the New Year with these skinny versions of your festive cocktail favorites! 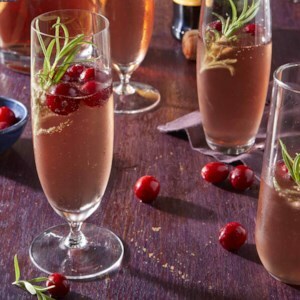 A splash of cranberry juice in sparkling wine and a garnish of cranberries and rosemary sprigs makes an exceptionally festive party-ready cocktail that's easy to make, too. 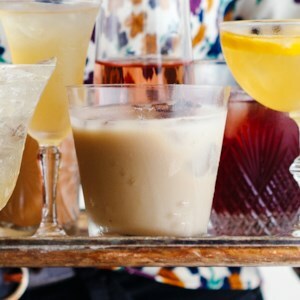 Skip eggnog in favor of this classic holiday cocktail recipe. We even sized it up for a thirsty group of revelers. While gin lets the grapefruit shine through, this punch recipe also works with bourbon. Using the Angostura bitters is optional, but the cinnamon-clove flavor gives this drink a bit of holiday-appropriate spice. This punch recipe is a good strong sipper, ideal for warming up on a cold day. As the ice melts, the drink mellows a bit and this punch actually gets better and better as the evening wears on. For this bubbly punch recipe, try making a decorative ice ring: fill a Bundt pan halfway with water and set in the freezer for about an hour. 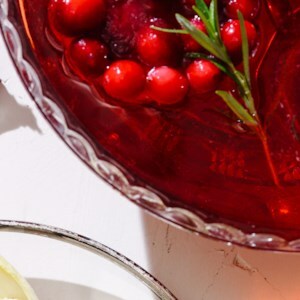 Add fresh or frozen cranberries and rosemary sprigs to resemble holly. Fill the mold with water and freeze overnight. Who says margaritas are just for summer? 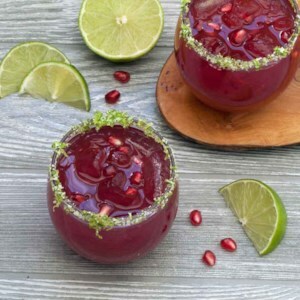 This pomegranate twist on a cocktail favorite is good all year long--elegant enough for the holidays and fun enough for an outdoor barbecue. 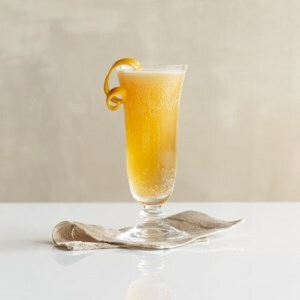 An adult spin on an ice cream float--what could be better? 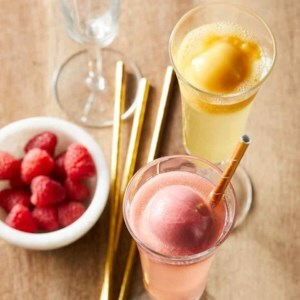 Sorbet adds a festive touch and pop of flavor to your celebratory glass of Champagne. 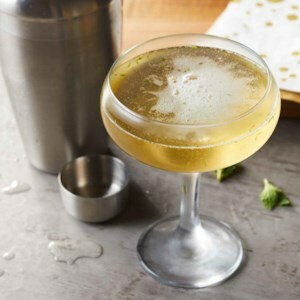 Elderflower adds sweet and fruity notes that mingle seamlessly with mint in this refreshing Champagne cocktail. 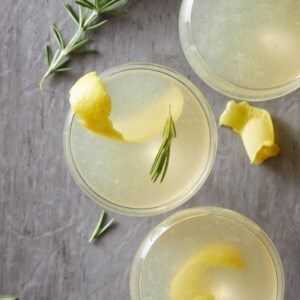 Rosemary and ginger add a flavorful twist to a classic citrusy gin cocktail topped with a little bubbly for a festive libation. Take your mimosas to the next level with this fun hack! 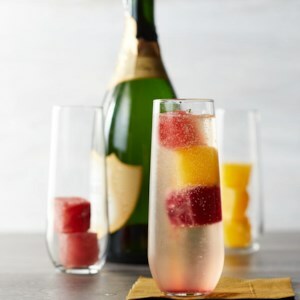 Make freeze juice in ice cube trays for a pretty and frosty way to add a splash of juice to your Champagne while keeping it cold. Brew up a batch of warm apple cider with ease in this no-sugar-added drink recipe. 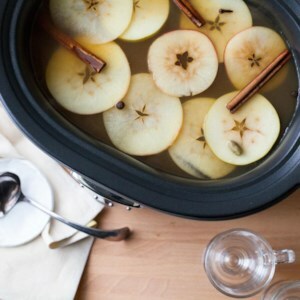 The hot toddy stays warm and party-ready in your crock pot all night long. 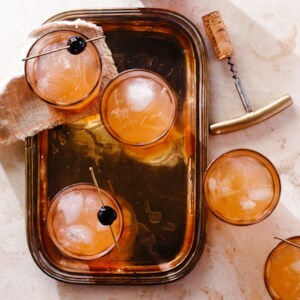 This easy cocktail recipe is named for how verjus--a nonalcoholic grape juice that is slightly tart--is made from the first pressing of the annual grape harvest. Look for verjus in wine shops and specialty markets. For this cocktail, use white verjus; red verjus is also available. 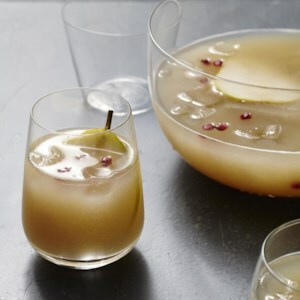 Pureed ripe pears naturally sweeten the fruity base for this healthy rum punch recipe. For garnish, cut very thin, whole slices from small pears and lay them on top. 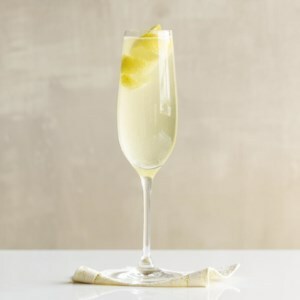 In this simple sparkling-wine cocktail, lemon juice and simple syrup make a tart-and-sweet bubbly drink. 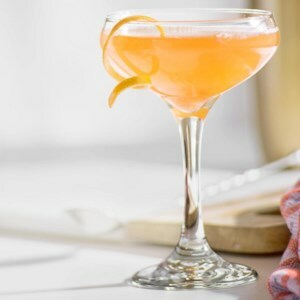 In this refreshing sparkling-wine cocktail, Aperol--a bright red, mildly bitter Italian aperitif--is mixed with simple syrup and fresh lemon juice. If you can't find Aperol, Campari is an ideal substitute. 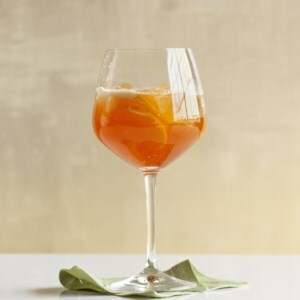 For this festive sparkling-wine cocktail recipe, Aperol--a bright red, mildly bitter Italian aperitif--is mixed with sparkling wine and homemade green tea-cinnamon simple syrup. If you can't find Aperol, Campari is an ideal substitute. 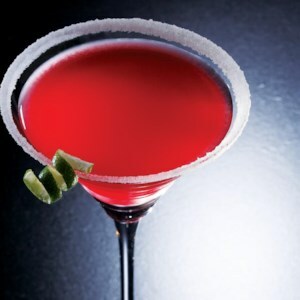 Make the base for these pomegranate cosmopolitans ahead of time and shake individual cocktails “to order.” Or for individual drinks, combine 3 tablespoons (1 1/2 ounces) each pomegranate juice and vodka, 4 teaspoons lime juice, 1 tablespoon Cointreau, 1 1/2 teaspoons ginger juice and 1/2 teaspoon sugar. Fresh ginger and fragrant cinnamon infuse this chilled pear soup. Serve it in large shot glasses. Guests may add a splash of vodka if they like. Begin the festivities with this rum-spiked fruity punch--green tea adds antioxidants and orange slices make a pretty garnish. 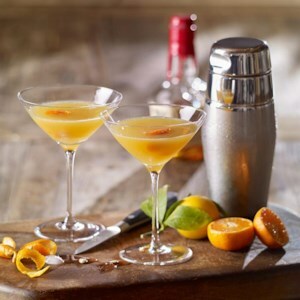 A fresh twist on a classic cocktail, this quick drink recipe uses sweet tangerine juice to balance the tang of bourbon.